Home - ITR Laboratories Canada Inc.
ITR is committed to alleviating the suffering of patients by advancing medical progress. ITR has maintained full accreditation with AAALAC International (a private, nonprofit organization) since our founding in 1989. Our goal as a company is to help in the development of treatments for a wide array of diseases and ailments. ITR has been FDA, US DOD, SCC and EMEA inspected and is AAALAC and CCAC accredited. To meet our clients’ toxicology needs, ITR Laboratories Canada provides services from single dose/acute designs through to carcinogenicity. We have subsequently performed ITR-sponsored method development studies which gave acceptable and repeatable results. We have established a team of highly trained scientists, state-of-the-art facilities and instrumentation to better serve our clients. The work we do saves lives! The "Magic" that Saved Jimmy Kimmel’s Son Made Possible by Animal Research. 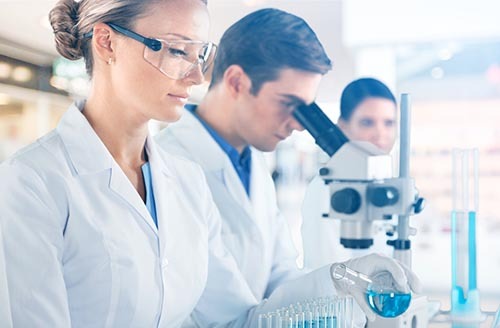 ITR (International Toxicology Research) Laboratories Canada, a contract research organization (CRO) located in Montreal, Quebec is a global service provider with over 25 years of experience. Every program is different and every project requires a well thought out solution to ensure success. We take the lead in providing specialized services in efficacy, toxicology and laboratory services for all types of molecules and we believe in creating a working partnership with our clients to attain our objective. Our preclinical research programs are conducted in our state of the art facility by a team of experienced and well-trained technicians and scientists to help maximize the value of your research investment. START TODAY and get it right the first time with ITR Laboratories Canada, your Dedicated Partner in Drug Safety!